As my name implies, I am dedicated to the Vanic Goddess Freya and consider myself Her daughter. My spiritual path has always been guided by a desire for a direct, personal relationship with deity (not unlike that of the Christian or Sufi mystics), so my relationship with Freya is as close as, if not closer than, my relationships with my family members and my partner. However, my relationship with Her is also closer than my relationship with Her brother Freyr, to whom I’m also dedicated. My relationship with Him is much newer and less intense, and fills a different role in my spiritual life. There are a wide range of levels of devotion and types of devotion among devotional polytheists. (I would argue that this kind of relationship, by default, has to be one of our most idiosyncratic of practices.) Just like relationships between humans, relationships between humans and deities–even devotional or dedicated relationships–can vary greatly. Just as you can be involved in a many different friendships for a variety of reasons, so can people be devoted with the Gods in many different ways. The experiences and opinions I share here are really only reflective of me and my relationship with Freya, who has been my primary Goddess. When I first started working for her, I was full of zeal and love for Her and I couldn’t really figure out why everyone did not want to honor Her and devote themselves to Her. (Laine deLaney of The Lady’s Quill wrote a lovely description of Her here.) …. 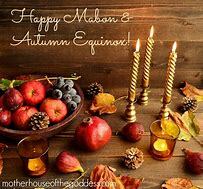 Posted on September 25, 2018 by Lady BeltanePosted in Dedication to Craft, Goddesses and GodsTagged Coven, Dedication to The Crat, Goddesses, Gods, Norse, Solitary Practice, Wicca, Witchcraft.